express in our own words. We are three people, very different from one another but with a common direction captured in Trallery’s songs. effort and energy on which we work for that essence to be received by listening to our music. An essence which hopefully manifests itself on each stage after every concert. We want to make clear what we are in each performance and we would like the audience to perceive it this way. When we plan a concert, we do so from the audience’s perspective. For that reason, feeling indifferent is not an option. We must be a whole reflection of what has marked our lives, of what we have been through. We deeply throw ourselves into every performance, we want to be able to show our backgrounds and make the audience feel part of what Trallery is. Trallery -pronounced as Tragedy (/’tradʒɪrɪ/’/)- is a Metal band from Mallorca (Spain) with a wide range of influences in their sound ranging from Thrash, Death, Groove Metal to Rock. The band is composed by Humberto Pol (bass and vocals), Biel Gayà (guitar and backing vocals) and Sebastià Barceló (drums). Fast tempos, elaborated instrumentals, aggressive musicianship and powerful vocals could be a good definition for the Metal performance of Trallery. Trallery was originally founded in 2009 under the name of “White Shadow”, which was created by Humberto Pol and Biel Gayà. One year later, after Sebastià Barceló joined the band, the base of their live show was mostly metal and thrash metal covers. However, the band also took advantage of these shows to present its own songs as “Trallery”. It is in 2012 when the band enters “Psychosomatic Recording studio” to record their first studio album, “Catalepsy”, which was recorded, produced, mixed and mastered by Miquel Àngel Riutort (Mega), known for his works with bands like Metalium, Cryptopsy, The Agonist, Threat Signal or Hirax, among many others. During the launching process, Trallery participates in the national competition “Wacken Open Air Metal Battle”. 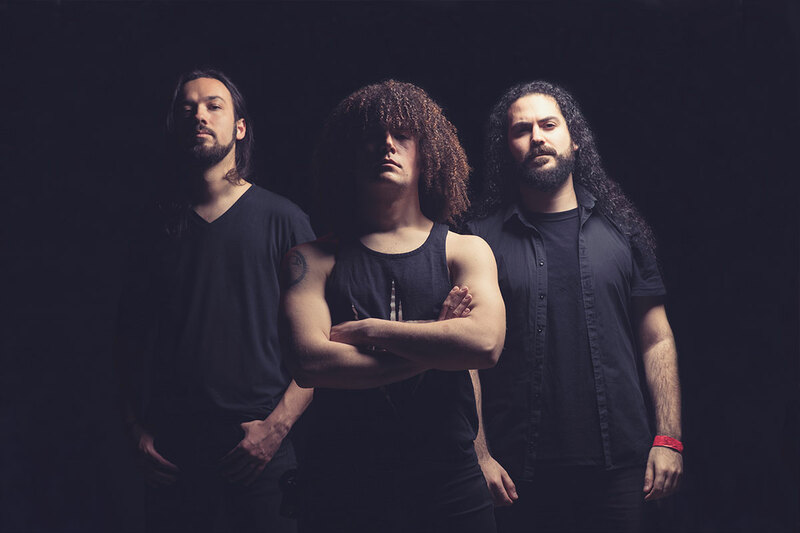 After managing to beat the rest of bands in the preliminaries of the contest, Trallery won the national final in Barcelona and represented Spain in the international final in Germany at Wacken Open Air. On 1st June 2013, “Catalepsy” is internationally released and distributed by “Xtreem Music” Metal label. On 31st July, the band got the third position in the worldwide WOA Metal Battle Contest in Germany, which raised up Trallery as the best newcomer Metal formation in Europe during the year. Nine months later, the band releases its first Live EP “Path Of Live”, featuring a couple of “Catalepsy” songs played and recorded at “Sa Rocketa 2013”. This EP is self-produced by Trallery and mixed & mastered by M.À. Riutort (Mega) at “Psychosomatic Recording Studio”. The band has been touring and playing shows since 2013 sharing stages with bands like Sodom, Lost Society, Crisix or Avulsed, and playing in the biggest Spanish festivals. The band’s second album called “Spiritless” has been recorded at “Psychosomatic Recording Studio” mixed and produced by M.À. Riutort (Mega) during December (2015), January and February (2016) and mastered by Hay Zeelen at “Hay Zeelen Mastering Studio Mallorca”, who has previously worked with bands as Sepultura or Satyricon among many others. In “Spiritless”, Trallery has developed a darker athmosphere not just in the music composition but in their new image and lyrics, which are based on emotional feelings, intro spection exercises and empathic perspectives of different kind of personalities. This new album is an advance in their way of understanding Metal. “Spiritless” is going to be out on 4th November via Art Gates Records. *Frühstücks-, Mittag- und Abendessen im Hauptrestaurant, Frühstücksbuffet und Abendbuffet im Themenrestaurant, Mittagessen in der Pizzeria. Alle lokalen alkoholischen Getränke und Softdrinks von 10-01h an verschiedenen Bars. Nachmittags Kaffee oder Tee mit Gebäck.